Performers include: Anna Torv, Joshua Jackson, Lance Reddick, Kirk Acevedo, Blair Brown, Jasika Nicole, Mark Valley, John Noble, and Michael Cerveris. This sci-fi drama, created by J.J. Abrams (Lost, Alias, Felicity), begins at Logan Airport in Boston. Flight 627 from Hamburg, Germany, has just arrived after having flown through an electrical storm. When FBI Special Agent Olivia Dunham (Anna Torv) and her partner John Smith (Mark Valley) are summoned to the airport, co-worker Charlie Francis (Kirk Acevedo) informs them that the flight has landed via autopilot. Everyone onboard is dead and their organs seem to have melted. Homeland Security Chief Phillip Broyles (Lance Reddick) immediately suspects terrorism and wants Olivia and John to investigate two Middleastern men who’d been seen at the airport handing a Caucasian man a suitcase. While investigating a storage facility, an explosion occurs, sending John to the hospital with symptoms similar to those from flight 627. Olivia researches John’s condition in order save him and recovers the name of a former government researcher of fringe science, Dr. Walter Bishop (John Noble). Dr. Bishop’s been institutionalized for the past 17 years after an experiment in his lab caused a lab assistant’s death. With the help of his estranged son, Peter (Joshua Jackson), she recruits Dr. Bishop to help her solve the current flesh eating phenomenon. Their examination into the epidemic leads them to Massive Dynamic, a multi-billion dollar corporation. The mysterious Nina Sharp (Blair Brown) is the executive director of the company’s fringe division and stonewalls outside inquiries. Under the auspices of Broyles, Olivia, Dr. Bishop, Peter, and lab assistant Astrid Farnsworth (Jasika Nicole) soon discover that what happened on a runway at Logan Airport is part of a much bigger mystery. While trying to piece together what is going on, the team encounters additional strange occurrences like genetic mutations, rapid aging, levitation, reanimation, and telepathy. Click here to read a detailed recap of the last episode. What do you think? 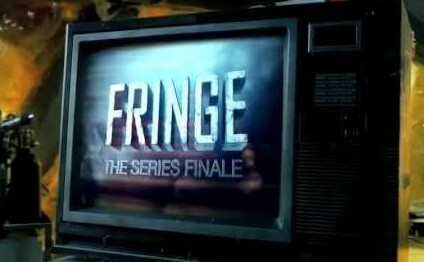 Do you like the Fringe TV series? Did you like the last episode? Do you think it should have lasted more than five seasons? This show was just absolutely fascinating, i watched it when it came out on Fox and now i have rewatched it on Netflix. The show must be brought back, Walter has to come back home. What happend with Michael , were the studies a success ? We must know, bring the show back. My husband and binged watched Fringe via Netflix. We found out that Leonard Nimoy was in it for a bit. As a result of wanting to see Leonard Nimoy (again) we fell in love with the show and its characters. Now we are going threw FRINGE withdrawal. It had a very good ending! We knew had had to be good with J. J. Abrams at the wheel. Thank you staff and crew for great work! Please,please,please bring this show back!!! What a great show! I’m watching all seasons for the third time. So sad it ended. i realy fell in love with this series i started watching it on netflex and couldn’t stop once i started it you people need to bring this series back it is realy that good. thanks. saw this show on Netflix … just finished all five seasons ( 100 shows ) … great show … great story … great cast of characters … would love to see Walter Bishop find a way back home … Bring back FRINGE !! Just started watching it on Netflix 2 months ago. I can’t understand how or why they cancelled that show. Absolutely brilliant series, characters, and story lines, it was suspenseful and action packed. What more does a show need!? Could / should have had 3-4 more seasons easily. Like X Files, I Did not discover this show, for long time, already cancelled. Too, too bad, so good, great ,excellent show, should have lasted 9 years, like X Files. I got hooked on fringe on netflix, now I’m hooked the way I been watching the seasons I will surely will miss it when I watch the last season , I’m sadden to hear they cancel the show, I was really looking forward to watching more, It makes you think of the imaginable and in love with all the main characters but especially Olivia Dunham she rocks the show!!! I ran across the TV series Fringe on Netflix. It hooked me from the first episode. The characters, Olivia, Peter, Dr. Bishop, and Broyles, are amazingly real and absolutely believeable, given the storyline. I went through all 5 seasons in a matter of weeks, and am revisiting a few. The finale was good but I would like the series brought back to life. After all everything is possible in Fringe. One of my favourite! I wish to have it back for at least season 6!! Really great show!! !